This past Sunday I had the great opportunity to communicate God's Word. I filled in for a friend at his church campus while he was out of town and I wanted to share the message with you. 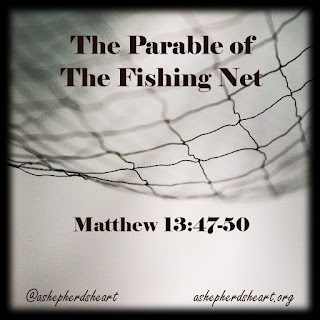 The message was from Matthew 13:47-50 about The Parable of The Fishing Net. Sonrise Cornelius is a bilingual campus located in Cornelius, Oregon and the message was translated / interpreted live in Español as I communicated in English. It was an honor to be there with them! If you listen to the message, I pray you’ll come away with a sense of urgency and sense of hope too! God loves you and is the standard setter! I encourage you to take time to study the passage for yourself sometime as well. May you be encouraged, challenged and motivated to serve God all the more through what He teaches us in His Word! PS. Once you listen to the message, I would enjoy hearing from you here via the comments section or via soundcloud.com regarding your response to God's Word.